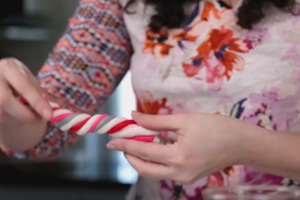 She Is Rolling Soft Clay Into “Snakes” and Then Rolling The “Snakes” Together…What She Is Making Is Surprisingly GORGEOUS! 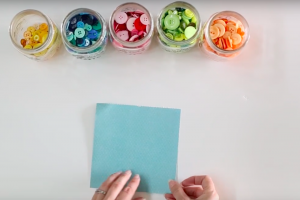 She Folds Up Some Tissue And Before You Know It, The Most DRAMATIC DIY is Born! These Are SO FUN! 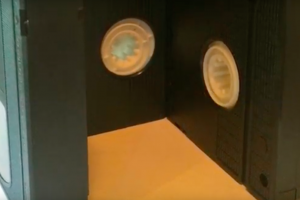 Gluing Together Old VHS Tapes Is The First Step In This Retro DIY Gift! It’s Just TOO Cool! 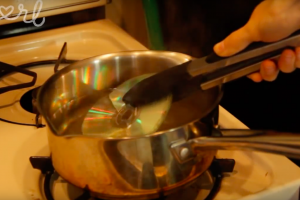 She Puts CD’s In Boiling Water And Then In The Freezer! 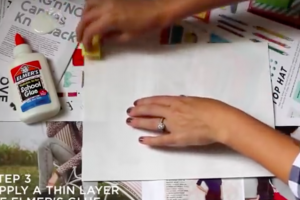 Find Out Why..It’s SO GOOD! 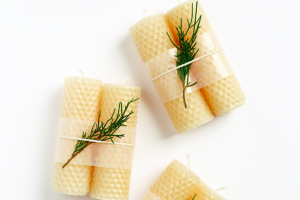 These Beeswax Candles Are A Classic That You Just Can’t Go Wrong With! 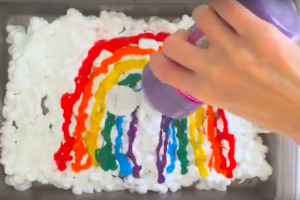 After She Paints A Rainbow On A Pan Of Shaving Cream, The Real Fun Begins! 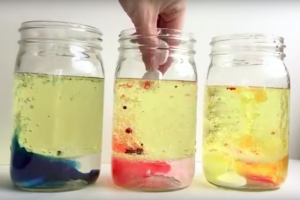 These Three Mason Jars Are Going To Look So Groovy! !